You’ve either had this happen, or know someone who has: your doctor has just said that the abnormality in your breast is cancer. Now what? Do you stay where you are for treatment? Do you go elsewhere? How do you survive the disease? While nothing in life is certain (no one can even guarantee that you’ll survive crossing the street), the key is to maximize the odds that you’ll do well. 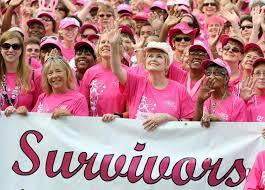 For breast cancer, it is critical to obtain the best care possible. So how do you do that? Two steps: (1) Do your research, and (2) help your doctor. The first key to getting good care is to do some homework about where you are now, if you’re staying there, or where you plan to go for treatment. This involves some research about the doctors and institutions with whom you are considering getting your care. In reality, where you go first for treatment does matter, because it is often difficult to correct problems in management that occur at the beginning of your treatment course. For the doctors, the first question to ask is how much breast cancer they treat. While anyone can be good at a myriad of things, we all know that the more you do something, the better you get at it, and this is no different for doctors. There is good data to support the idea that those who subspecialize in a particular disease get better at treating it. So find out whether the doctors you’re considering using confine their practices mostly, or better yet, exclusively to breast cancer. The next thing you should do is to investigate whether the doctors you’ll be seeing are board certified; this is an objective measurement of their knowledge. While there is no board certification in breast-specific fields like breast surgery, breast-specific radiation oncology or breast-specific medical oncology, you can still peruse www.certificationmatters.org to at least determine whether your doctors are board certified in general surgery, hematology/oncology, and radiation oncology. You also need to investigate the institutions where they practice. Are these cancer centers? Do they treat large numbers of cancer patients? How multidisciplinary is the treatment, meaning: can you see several specialists from a treatment team either on the same day or in a short period? How do the doctors communicate? Do they share one medical record to facilitate treatment? Do they attend a tumor board conference to discuss the cases all together? Are there a range of clinical trials offered at their facility? (This is often an indicator that an institution is on the cutting edge of care and provide options that are not routinely available.) Is the breast program certified by the National Accreditation Program for Breast Centers (NAPBC: This accreditation confirms that the program meets over twenty seven critical quality standards.)? Once you have completed your assessment of the providers and know where you are going, it then becomes important to help your doctors and team give you the best care, and there are several things you can do to help. The first thing, which you should always do anyway, is obtain copies of your reports and testing. These reports will be critical for your providers to see in order to begin to assess how to treat you. If you can get these reports to them well in advance of your appointment (meaning not earlier on that same date), they can take the time to thoroughly review them in the days before your visit, rather than during the short period of time you’re with them. The next thing you should do if going to a facility that is different than where you were diagnosed, is to get your pathology slides, and X-rays. This doesn’t mean the reports, but the actual slides and images. The reports are critical also, but your doctors will need both. In the same way that it’s hard to for you to visualize what someone looks like by someone else describing them, it is difficult for a doctor to understand your cancer and determine your treatment without actually seeing your actual Xrays. Similarly, the pathologists need to look at the slides to confirm your diagnosis. These things are critical to ensure quality, and are also becoming a part of breast cancer accreditation because of how important they are. Oftentimes, comprehensive breast programs have ‘nurse navigators’ who can help you obtain these things so that the doctors can review them in advance of your appointment. Contact them for assistance. Finally, second opinions can be helpful in some situations, but third opinions are rarely necessary. While two completely opposing opinions may need a tie-breaker, in most cases a third opinion doesn’t help and often just causes delays. So, in short, do your homework and help your doctor, and your treatment is much more likely to be smooth(er) sailing. But more importantly, it could save your life.